I also look at the quality of writing on those sites! That is why, when I was approached by a client who wanted a sponsored post that linked to a dating site, I accepted. 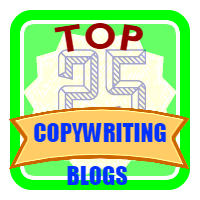 Therefore, this is a sponsored post – but it is a great one about copywriting! Have you ever considered the written content of a website, an email or even a flirt blog? Copywriting really is an art when you consider the burden that is placed on its shoulders because it is used as part of a marketing strategy. This will mean that it has to work in a particular way, but it also has to deliver a message that will result in people taking action? When words are delivered in such a way, they grip the reader and they make them want to behave in the desired way – this is exactly why it is an important tool in the marketing world. Copywriting is huge. In fact, its importance should not be underestimated because the biggest businesses in the world rely on it to work for them. When they require a creative message that they want to be delivered to their customers, they simply use a copywriter. What Are The Main Principles of Copywriting? When it comes to copywriting, there are a few fundamental principles to consider in order to create the very best copy, since there is a difference between academic and content writing. The first is to encourage the customer to engage with the seller in a way that will make them want to take action. Next, it is then a case of explaining to the customer how they will benefit from taking that action. Finally, a copywriter will need to focus on achievement because they will want to have a specific effect on customers. Commonly, this effect is for consumers to want a product because of the benefits they will experience if they choose to make a purchase. Copywriters will often set a sales target that relates to how many sales their copywriting should generate and this is how its success is measured. Sure, anyone can write but copywriters take a message and manipulate it to the point where it generates interest and feelings within the consumer. Good copywriters have mastered their writing skills, too. Businesses are constantly fighting to gain the attention of consumers because every business is trying to show consumers how they are “the best.” However, advertisements have to stand out because they have to be of interest to the consumers, therefore, this clearly indicates just how important it is to focus on your copy. It needs to deliver but it also has to reach a wider population within your chosen niche. Is There Always a Need For Copywriters? Yes. That is the simple answer. Businesses will always need to communicate with consumers regardless of how the economy is performing. As long as their products are in demand, there will be a need for copywriters and so, they will continue to be in popular demand. Good copywriters will always be busy but their skill and hard work can be found in many different places. They often work in advertising agencies, on freelancing websites or they may work for themselves. There are many different markets in which they can work and that is why they are always in demand because their skills are an important tool that businesses can benefit from regardless of the niche. A copywriter does not just put a message down in writing because the process is more intricate than that. They need to consider the way in which a consumer thinks and behaves. This knowledge is achieved through extensive research and studies that enable them to understand how the decision process of a consumer works. Every group of consumers will be different and so, they will be motivated differently. The research carried out by a copywriter will enable them to have an understanding of how to deliver a message in a way that targets specific groups. Copywriting is a broad field that reaches far and wide but copywriters are heavily in demand because it is proven to work. Companies need to continue to find new ways in which they can target consumers and using the services of a copywriter can help them to achieve that. Product promotion is all about showing the audience why a product is better than that on offer from a competitor. Therefore, a copywriter will ensure that a message is delivered with a real punch that gives the reader only one option which is to take action and make a purchase. Good copywriters know the difference between plagiarism and fair use. 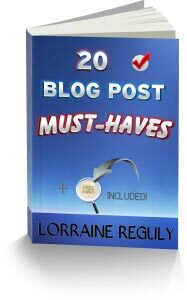 They also utilize different editing techniques, such as the ones found in 5 (+ 17) Self-Editing Hacks to Boost Your Blog Writing (17 in your FREE Checklist!). nice article about copywriting . first time i have read a blog on copywriting . Great article Lorraine! Copywriting is the difference between successful and unsuccessful marketing, learnt this here. Really nice article to learn more about copywritting. Great article Lorraine! Copywriting is the difference between successful and unsuccessful marketing, for sure. Again, great post! there is no doubt that words matter always. A good copyrighter is the person who focus on details. Great post, Here I got to learn a lot of things. Thanks for sharing a wonderful experience. Great stuff, Lorraine. Copywriting, to me, is a never-ending learning experience. Seriously…every time i think I’ve mastered it, suddenly I learn something new. A good example is making sure that the first sentence or two are short and to the point (bonus points if they ask a very relevant question). This helps you retain readers and minimizes the chances of them closing the page. Elvis, I agree with you. Copywriting, especially when you are writing for marketers, is tough and it’s a never-ending learning experience! Ryan, so many people don’t understand how hard writing can be… to be PERFECT.